This week spirit is flowing in the centre of the city again after a long absence. 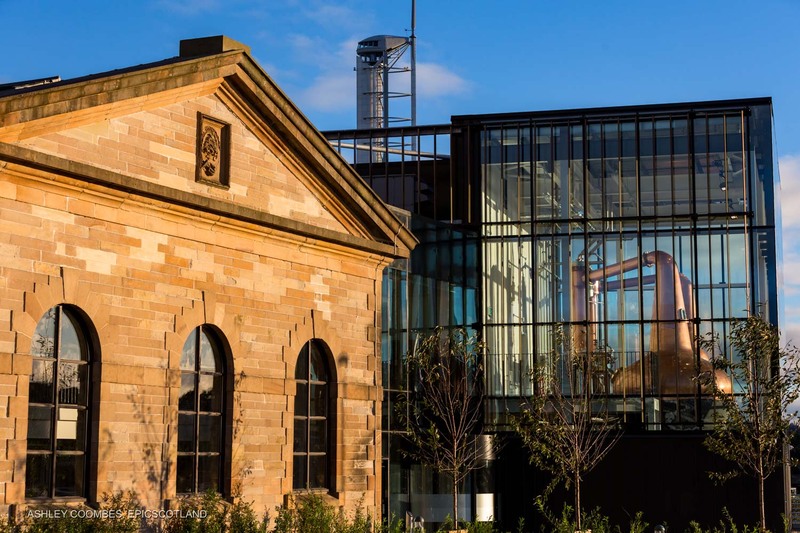 The Clydeside Distillery opened yesterday (23 Nov). I’m very proud to be involved in this project which has transformed a piece of Glasgow’s iconic heritage into a 5 star attraction after lying empty for many years. The Pump House once controlled entry into the Queen’s Dock and was built by John Morrison in 1877. With a dash of serendipity, it became apparent during this Glasgow whisky distillery project that John was the great Grandfather of Tim Morrison, the current owner and entrepreneur behind the project. I was very fortunate to be onsite one day when Tim Morrison visited and I was able to get some wonderful shots of him trying out the Blender’s Room which showed off the unique view down the Clyde. This kind of commission requires a variety of photographic disciplines. I was able to offer Portraits, Lifestyle Marketing, Architecture and Interiors photography to cover the wide range of pictures that were needed for the website and the press coverage. The photography was pretty challenging as is often the case when working towards a grand opening deadline. I was on site at the tail end of the construction while much of the work was still ongoing but all the guys were incredibly accommodating. I can’t thank them enough for making it possible for me to take photos which made the building look finished when there was still a long way to go. I have a few other ongoing projects like this which I will blog about in due course but if you have a venture underway with a launch date fast approaching, don’t delay. Plan ahead, start thinking about the imagery you will need, it’s never too early to put photography on the to-do list. Do you need photography for your project?